Corporate Gifts are joyous times filled with intimate moments recalled forever and they deserve to be commemorated with mementos that stand the test of time. The stainless steel range of luxury Corporate gifts is the perfect way to show how much you care for your recipients. Suppliers of Corporate Business Gifts, Promotional Items, Diwali Gifts, Dinner Sets etc. 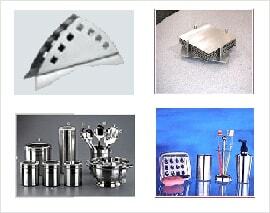 We strive to be the most innovative and value driven supplier of various stainless steel products of household use, offices, restaurants, bars, clubs as sales promotion and corporate gifts. We specialize in products for cookware, kitchenware, tiffin boxes, dinner sets, tableware, mugs and jugs for beverages, hotel ware, serving range, bar accessories, festive special, life style products etc. Whatever may be your reason for seeking Corporate gifts, our innovative stainless steel products helps to build up your logo, brand & thereby bumper sales. These contemporary gift designs have been doing wonders for our over 200 clients from various fields and you are invited to examine our fresh ideas and creative concepts for your benefit as well. Our clientele is a virtual ‘who's who’ in the Corporate World. Join our list of distinguished Customers spread out both in India and 24 overseas countries. The corporate world has gained high prominence by distributing promotional stainless steel corporate gift items to their consumers, customers, employees, partners and business associates from time to time. 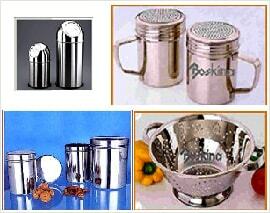 We are the Indian manufacturers and exporters of promotional Stainless Steel gifts and customized odd items. 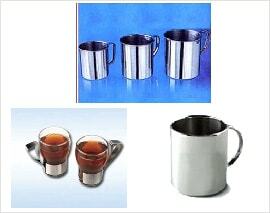 Our extensive stainless coffee mugs range provides a complete office solution and more. We aim to provide with an extensive line-up of attractive and aesthetically appealing stainless steel beverage range! We offer innovative, exciting and high quality stainless hospitality supplies to meet all your food storage, table and rest room needs. Browse through our complete range - from preparation, storage, containment, and serving products for the office and home - we have them all! 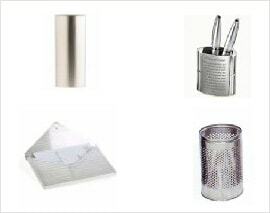 We are pleased to present a complete range of stainless office accessories - each of our products is carefully selected - each product is unique and individual qualities - browse through our range and you will find exactly what you are looking for! Depending on the profile of the employee the gift is decided so may be for a factory or office worker a tiffin box is an ideal gift as they can use it every working day. Even for plumbers, masons, carpenters, painters and various other working profiles tiffin box is a daily utility promotional product. 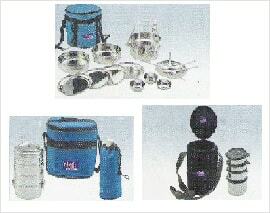 Stainless steel tiffin boxes can be gifted to kids of all ages as they need one to carry to school. 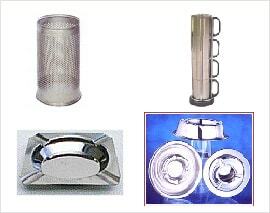 The market is so big for tiffin boxes that you get choice at each price point with steel containers. Air tight and even with insulations to keep the food warm for longer hours. 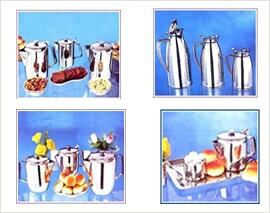 Our extensive beverage range provides a complete solution of stainless steel jugs range of various sizes. We aim to provide aspirational gift givers and various end users with an extensive line-up of attractive and aesthetically appealing beverage range to match all office, home and restaurant needs!